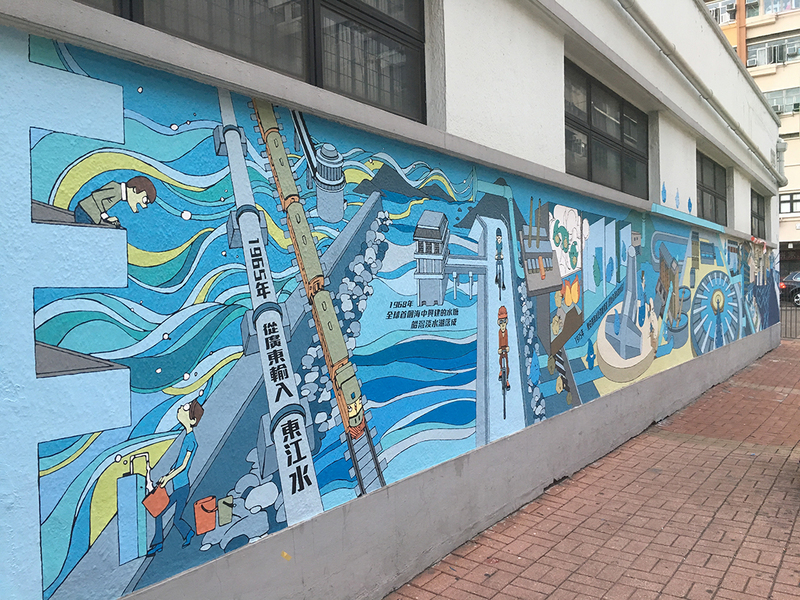 The mural “點‧滴‧承傳”, which is now on display at WSD Mong Kok Office, was designed by the local artist Jerry Cho. 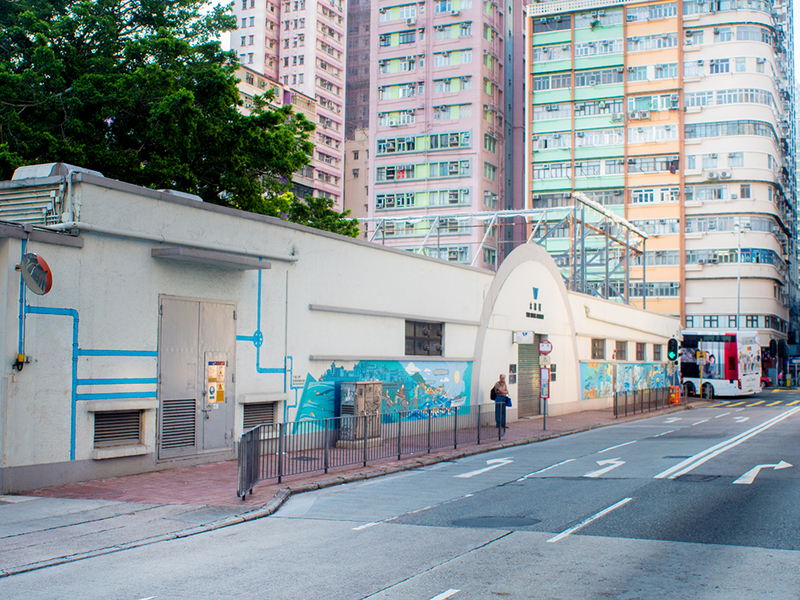 It vividly illustrates on a timeline the milestones of Hong Kong’s water supply history since the first well dug by the WSD, which signifies the important role of the WSD in stably supplying safe drinking water to the city. Jerry Cho joined the comic industry in 1990s. With extensive experience in visual design, he curated an art project called ‘Project 72′ in 2016, which acts as a cultural record of 72 industries in Hong Kong.